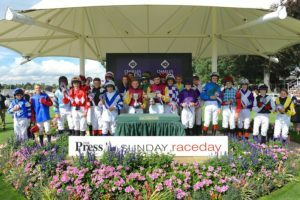 The aim of the Conditions’ Series is to encourage children to make the step up from Point-to-Point pony racing and into the Charles Owen Racecourse Series. The Charles Owen Conditions Races are for individual children or ponies who have not been placed (1st – 4th) in any Charles Owen Final in the previous 2 years (2017 and 2018). The aim of the Series is to allow novice combinations to start competing in the Charles Owen Series. The races are run as any other Charles Owen pony race and points won count towards both the Conditions Final and the Charles Owen Final. This season points will be awarded as follows: 6 points for a win, 4 points for second, 2 points for third and 1 point for fourth. The first 2 placed combinations will automatically qualify for the Conditions’ Finals. The next 4 combinations with the most points will qualify for a place in the Conditions’ Finals. The winner of each Conditions’ Races cannot compete in another Conditions’ race until the Conditions’ Finals. Penalties will be carried in the Conditions’ Final. All those riding in Conditions Races will also gain points for the prestigious Charles Owen Finals at the end of the season and the Rose Bengal Awards.